Really out of this world! There is no word to describe it... If I had to, the words might be ‘divine,’ ‘reborn’ and ‘hope’... You have to see it to believe it. Unique... Absolutely beautiful! So inspiring, I think I may have found some new ideas for the next Avatar movie. The 8th wonder of the world. People have no idea what they're missing until they come here and see the show. It’s a new realm of dance—there’s a lot of depth to it, and a lot of meaning. It’s superbly designed and performed… there are surprises everywhere that are just beautiful... It’s incredible. It’s very magical. ... I’m just impressed with the artistry and the agility of the dancers, the choreography, it’s all really a great experience... I’m going to insist that certain friends have to come, just to discover what they don’t know. This is a very hopeful performance... and it’s all done through a magnificent choreography and artistry and dance. I’m leaving—inspired, ... Shen Yun will convey a very positive energy, a sense of hope. Presented in the various dances are the highest principles of human nature, of human culture and civilization. The ancient Chinese wisdom it conveyed will not only benefit the Chinese people, but also the whole world. ... A remarkable achievement. The performance is full of sincerity, compassion and beauty, and it also showcases stories about the principles of truthfulness, compassion and tolerance. The orchestra is phenomenal. They are very very on top. I would pay twice the money just for the music. Lavish production, colorful sets, dazzling costumes, brilliant choreography... Simply gorgeous stage magic. A must-see! Promo code is only honoured on https://tickets.ShenYun.com. Box Office Phone: 519-578-1570 or 800-265-8977. An acoustical and architectural jewel, Centre In The Square, was designed by Rieder, Hymmen and Lobban, and opened in September, 1980. The focal point of the spacious building is the Raffi Armenian Theatre, one of North America's most expansive, acoustically- superior halls. Specially-designed to deliver optimal acoustics, performers rave about how they are heard with the same warmth and brilliance in the very last row as in the first. The 2,047-seat design offers exceptional, unobstructed views of the stage, which is one of the largest stages in North America. As well, The Centre offers state-of-the-art sound, lights and theatrical systems. In addition, a design priority was to facilitate recording and broadcasting. 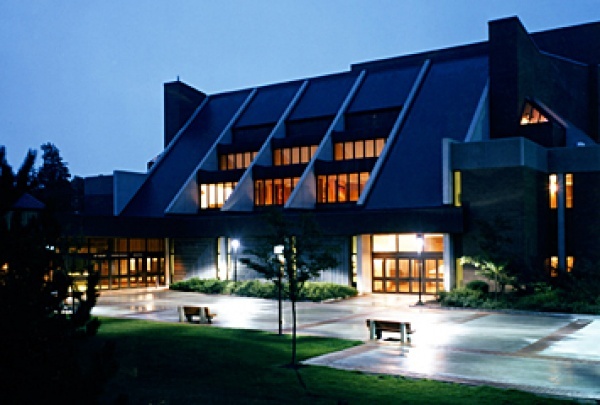 The Kitchener-Waterloo Symphony calls The Centre home for its main performance space. The Symphony acknowledges that the splendid acoustics of The Centre are an important element to its success. Every year, approximately 190,000 audience members attend a variety of events including everything from dance, symphony, international stars, children's performers, mega-musicals, comedians, to magic and more! Centre in The Sqaure is located at downtown Kitchener, just around 25 minutes drive from surounding cities such as Cambbridge, Waterloo,Guelph, and minutes from downtown Kitchener. The City of Kitchener parking lot on the Otto Street side of the building is the closest place to park for shows. Theatre parking is $9.00 (except matinee). If you are visiting the Box Office, 15 minute parking is available off of Ellen Street. Click here for a map of downtown parking lots operated by the City of Kitchener.